Frog And Pond Life Activities For Hands On Learners | Mrs. P's Specialties! Many of my students don't have a lot of back ground knowledge to draw on in school. 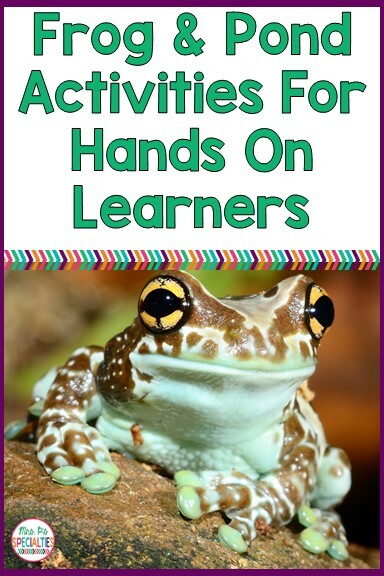 These hands on activities help students build a deeper understanding of the science and language concepts. 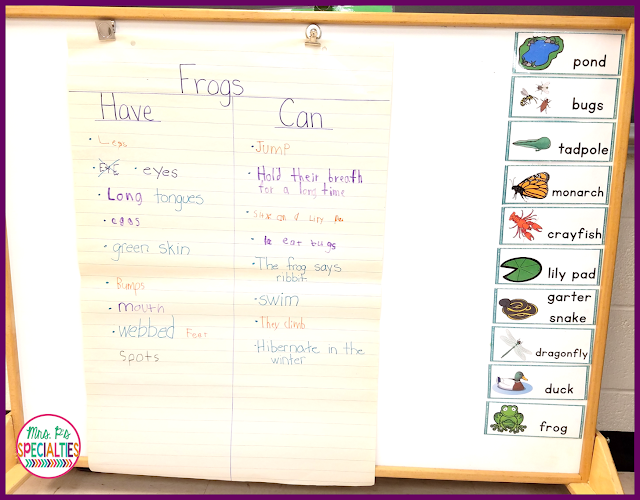 To begin, we start with our frog and pond word wall cards to introduce vocabulary and concepts. Our unit runs for 2 weeks, so I usually focus on 10 word wall card per week. We talk about what we know about the animals, if we have ever seen them, facts we already know, etc. We also write some sentences about the vocabulary words on the white board. 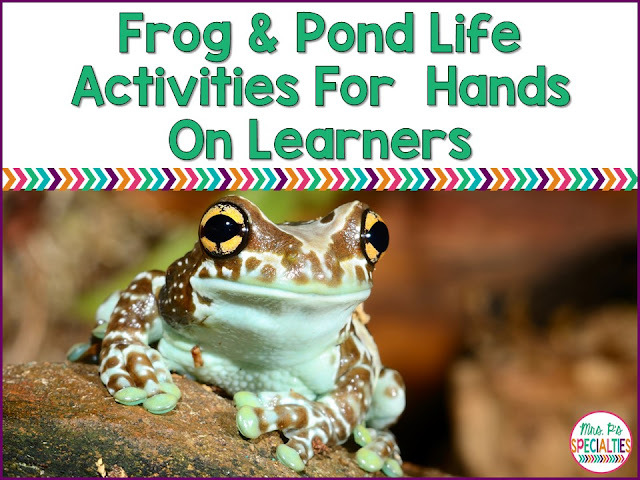 As we work through the frog and pond theme unit, we add in these hands on activities to enhance our understanding. 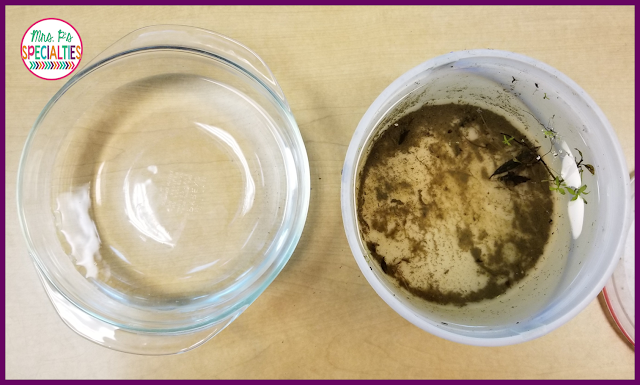 To understand how frogs eat, we tried to use a "frog tongue" to catch felt flies. 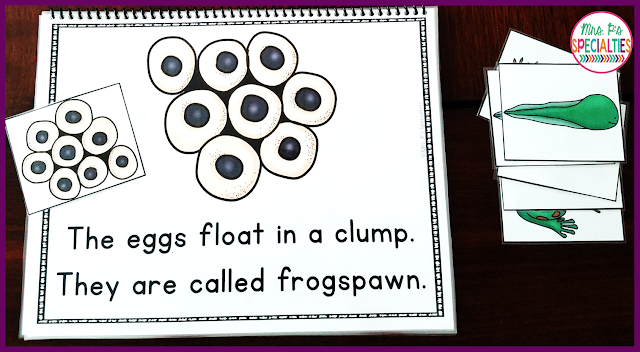 It was so much fun and gave students something to draw on when we talk about frogs and their diet. 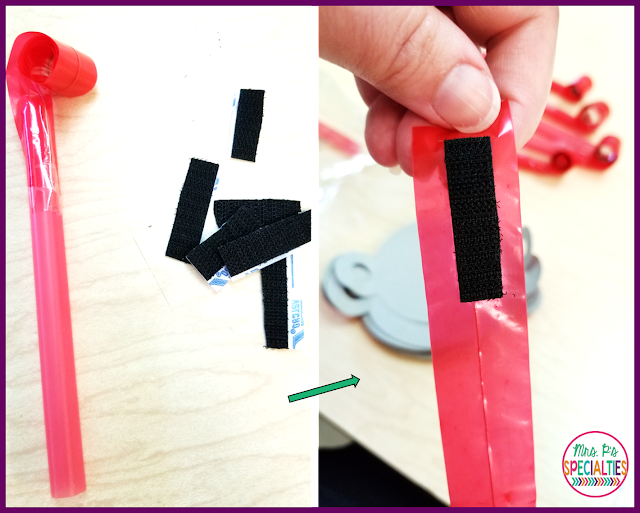 To make the tongue, we took red party blowers (from the dollar store) and attached a small strip of Velcro to the end. 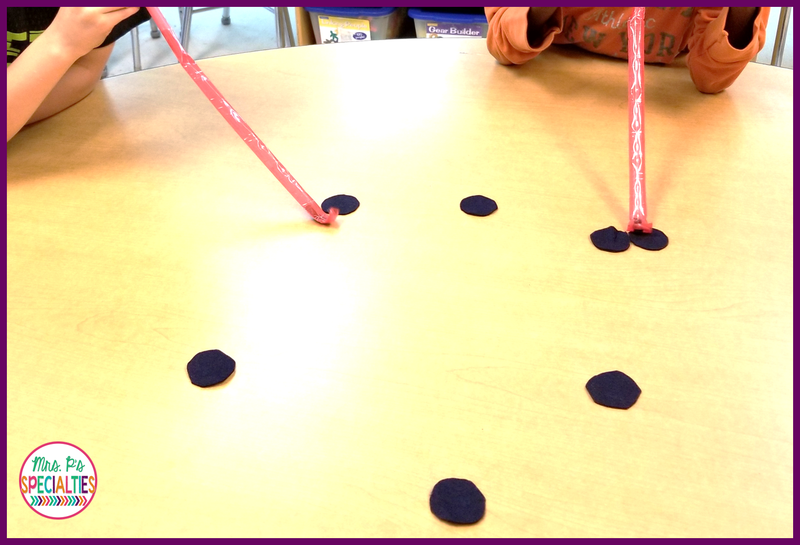 We cut small circles out of felt to make the flies. The smaller flies were definitely easier to pick up, but still challenging! As a bonus... it also worked their oral motor skills! Next, we got a bucket of water from a local pond and a bowl of tap water from our classroom. 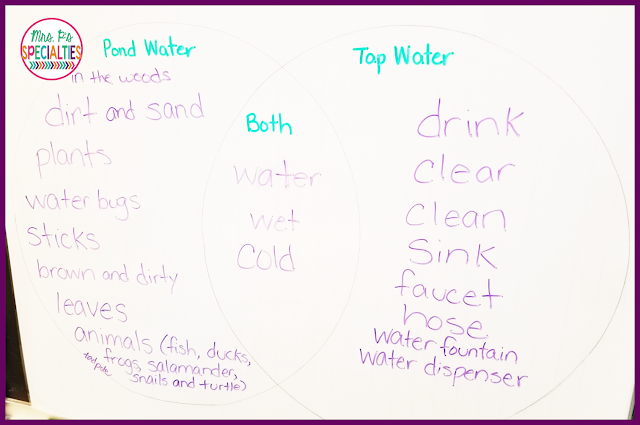 We used magnifying glasses to look at both types of water, touched them, smelled them, etc. We talked a lot about words to describe each type and then filled in our Venn diagram with our thoughts. 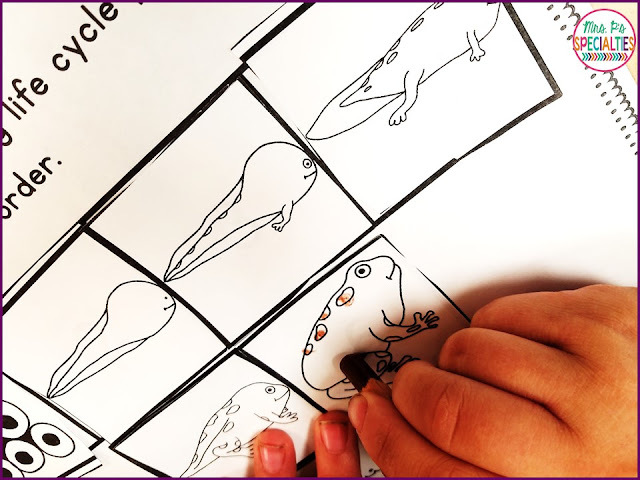 We also read a book about the life cycle of a frog and worked on sequencing pictures of the different stages of a frog's life cycle.